Building my daughter a new headboard has been on my to-do list since the day she stopped sleeping in her crib- like 5 years ago… So when we rearranged her room this week, I knew it was now or never! 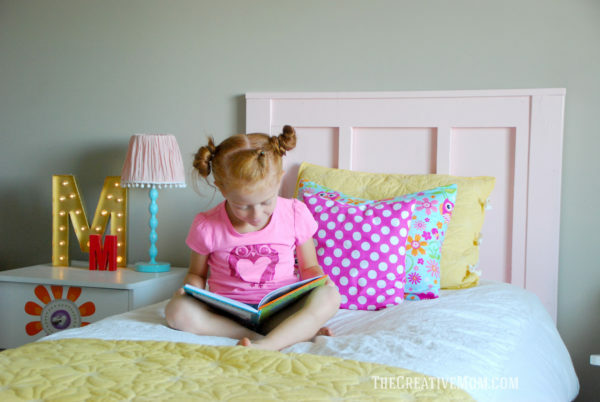 I just love the way this DIY twin headboard turned out and I am excited to partner with BuildSomething.com to bring you the full building plans. 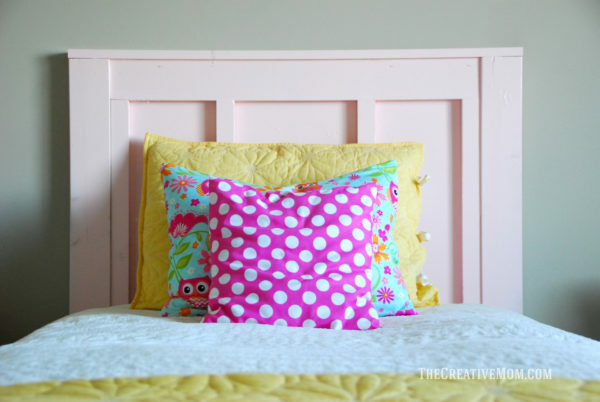 For this headboard, I knew I didn’t have a lot of time or money to spend on this project. So we decided to do something simple, but sweet. 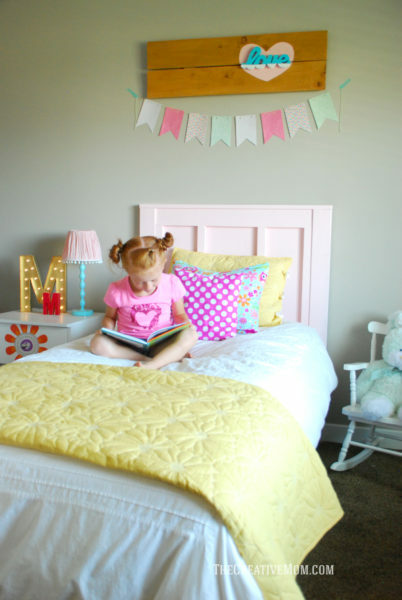 Molly and I came up with this board and batten style headboard, because she loved the way our board and batten wall turned out, and she wanted to bring some of that look into her own room. 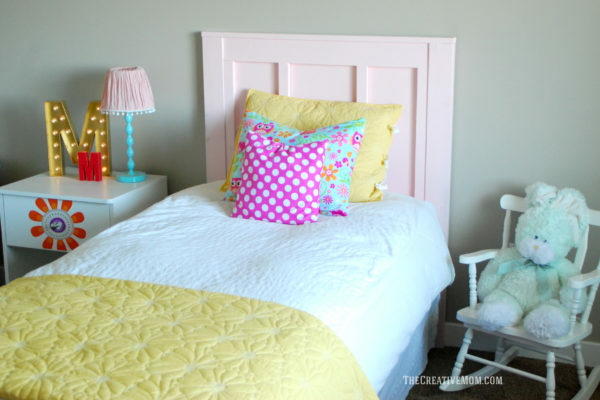 Oh, and do you love that pallet LOVE sign above the bed? I made it a few years ago (without a pallet at all), and it’s still my favorite- I have a video tutorial showing you how I made it. Molly honestly didn’t really care much about the headboard as long as it was PINK! So, she was thrilled with how it turned out. I used DecoArt’s Americana Decor Chalky Finish paint in “innocence”. I love, love, love using this paint for my furniture. 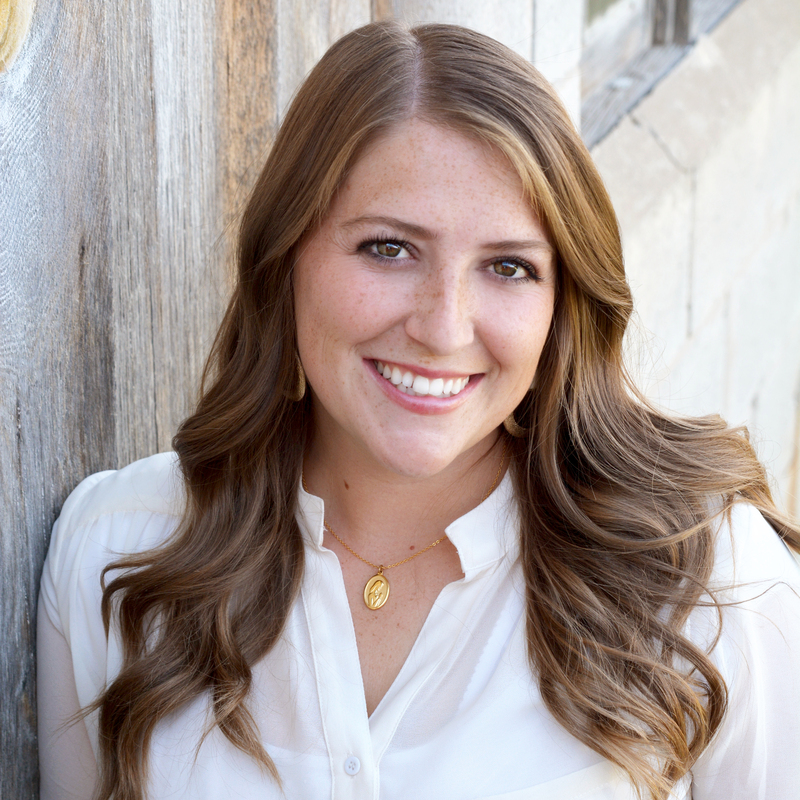 I’ve been using it for years (on my farmhouse bench, my farmhouse desk, my shiplap wreath display) and it’s held up really well, and the application process couldn’t be easier. If I’m painting furniture, I use this paint with my finishmax sprayer, and I get perfect coverage every single time! 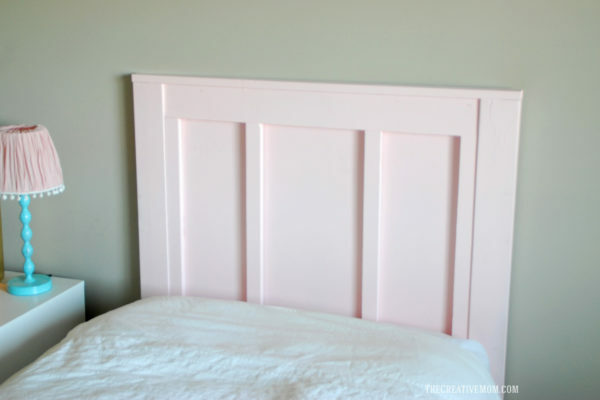 And I was thrilled that this headboard turned out to be a simple, inexpensive build. All of the supplies cost about $20, and it took me an afternoon to build and paint. Not too bad, I’d say. I designed the headboard to attach to an existing bed frame. 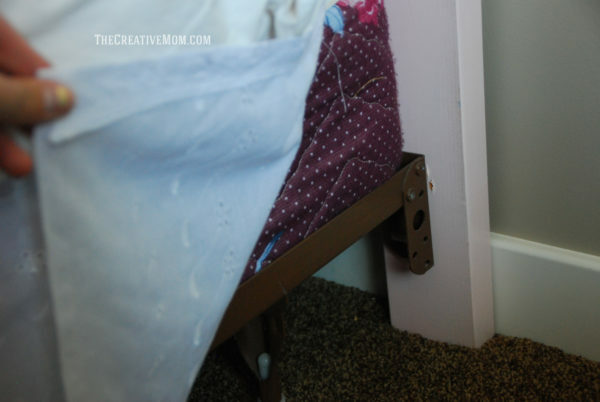 We had a metal bed frame, so we just attached the headboard to the frame, which was really simple. I love the way this turned out. It could work in a boy’s or girl’s room, with just a change of paint color. It is a really versatile plan, too. 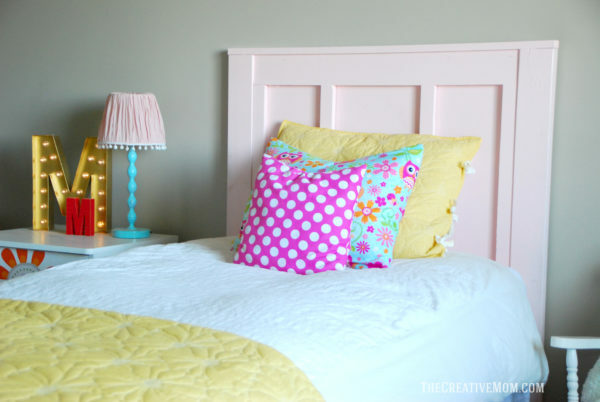 You could easily change it up by adding extra moulding or details to customize the headboard. I think it would look really cool with some rustic looking wood in a boy’s room. Or add some cute decals or a pennant banner to cutesy it up for a girl. Don’t forget the full set of building plans I designed and the complete how-to’s are available on BuildSomething.com. So click on over and print out the plans, then get to it!